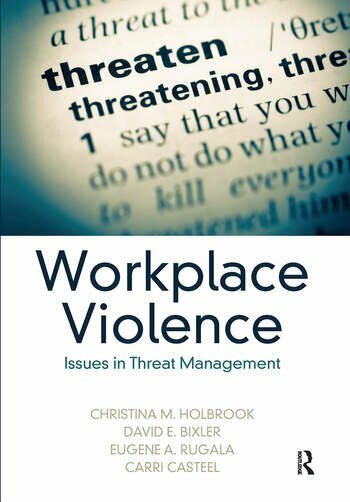 Workplace Violence: Issues in Threat Management defines what workplace violence is, delves into the myths and realities surrounding the topic and provides readers with the latest statistics, thinking, and strategies in the prevention of workplace violence. 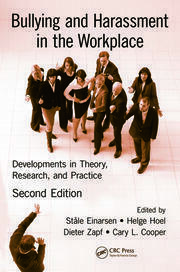 The authors, who themselves have implemented successful workplace violence protection programs, guide novice and experienced practitioners alike in the development of their own programs. Christina M. Holbrook co-leads The Boeing Company’s Enterprise threat management program. David E. Bixler co-leads The Boeing Company’s Enterprise threat management program. 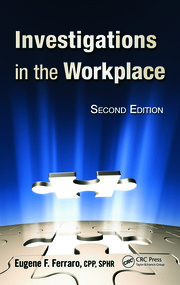 Eugene A. Rugala is president of Eugene A. Rugala and Associates LLC. He was formerly with the Federal Bureau of Investigation’s (FBI) Critical Incident Response Group (CIRG) and was assigned to the National Center for the Analysis of Violent Crime (NCAVC), FBI Academy, Quantico, Virginia. Carri Casteel, MPH, Ph.D., is an associate professor in the Department of Occupational and Environmental Health at the University of Iowa.